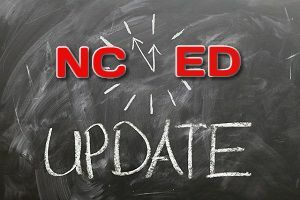 Here are some updates on North Carolina Education from the last few weeks in March. The General Assembly’s School Safety Committee met, the threats to schools continued, PTA treasurer charged with embezzlement, WCPSS Board learned nothing from Parkland and focuses on Elementary suspensions, and Superintendent Mark Johnson issued a ‘sweet challenge’. HB 90 – Changes to Education and Election Laws – is now law. Today, at a special called meeting of the State Board of Education (SBE), held via conference call, Innovative School District (ISD) Superintendent, Dr. Eric Hall, recommended Achievement for All Children (AAC) as the operator for Southside Ashpole Elementary in Rowland, NC beginning in the 2018-19 academic year. The State Board will consider and vote on this recommendation during their next regularly-scheduled meeting, which will take place on April 4-5. Their initial focus was to review existing resources available and safety-related measures already under way in our public education system. They will use this information as a baseline to possibly begin devising legislation and appropriations that can help to improve security at schools across the state. Materials presented during this meeting are HERE. 4. Superintendent Mark Johnson issues ‘sweet‘ challenge. In a video message to teachers this morning, North Carolina Superintendent Mark Johnson issued a challenge intended to raise completion levels for the Teacher Working Conditions Survey. If educators reach a 95 percent rate of completion, Johnson said he will participate in next year’s Krispy Kreme Challenge, a footrace that involves running 2.5 miles, eating a dozen Krispy Kreme doughnuts, and running 2.5 miles back, all to raise money for the North Carolina Children’s Hospital. As of this morning, the statewide completion rate for the survey stands at 75 percent – meaning more than 90,000 school-based educators have taken the anonymous survey that is conducted every two years. Elementary school suspensions are disturbing and zero tolerance policies contribute to it, however, the Wake Board and county commissioners spent millions on the ‘suspension’ school. The Board’s solution now? More mental health workers in the district to the tune of $10 million. The treasurer of the PTA at Lincoln Heights Elementary School in Fuquay-Varina has been charged with embezzling $14,910 from the school. Allison Leigh Lonberg, 42, of 1824 Devonridge Drive, Fuquay-Varina, was arrested Friday and held on a $10,000 unsecured bond, according to an email from town spokeswoman Susan Weis. Weis said police suspect Lonberg, a stay-at-home mom, of writing 48 checks to herself and forging the signature of the PTA’s president because the checks required two signatures. This entry was posted in EDUCATION, LL1885, NC DPI, NC Ed Updates, Wake County School Board and tagged Mark Johnson, School Safety, School Shooting Threats, WCPSS. Bookmark the permalink.